My husband and I really got down to all the things that we have been saying that we wanted to do in life. He went back to school, I amped up my dream factor, and started planting more veggies and fruits as well as canning and preserving EVEN MORE. I am continually surprised at my penchant for homesteading, but it's a growing obsession with each passing year. The first bush in my newly planted orchard to bear fruit? 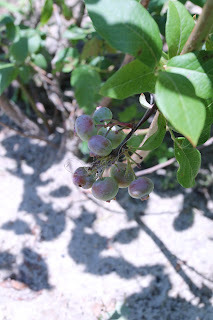 The blueberry bushes! I am so excited to have some fresh blueberries. There is just something about eating the fruits of your labor...hehe. Wait for it: I'm so stoked to reap what I sowed. 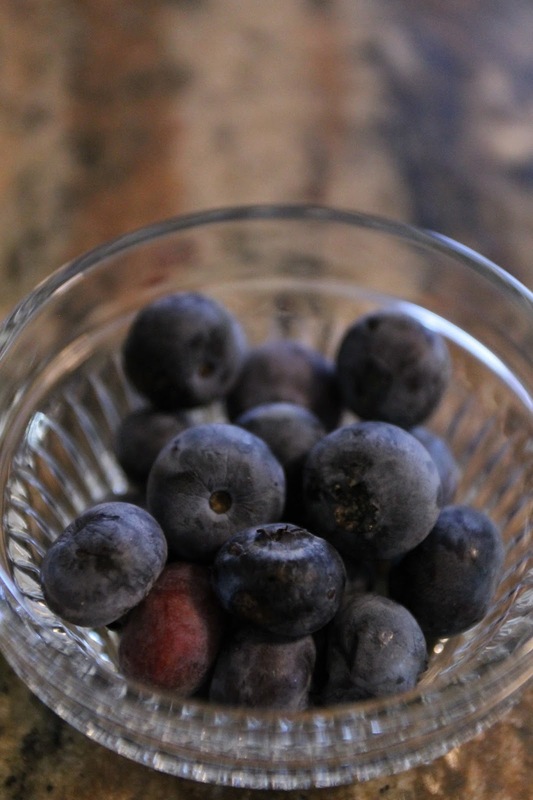 Anyway, since it's the Fourth of July and all, I thought it would be a great time to talk about my blueberries because they are, after all, blue, and having a garden makes me feel patriotic. Why you say? Well, why the heck not?! Having the freedom to grow your own fruits and vegetables is empowering. Back during the world wars, people grew Victory Gardens as part of the war effort to help with rationing. The more I grow in my knowledge of canning and preserving, planting and homesteading, the more free I feel. When you get right down to it, anything you love--any dream you have--when being followed, makes you feel liberated and full of life. And that's America. It's all about having the freedom to do what you feel and what you love. Or at least that is how I see it. One woman's blueberry bush is another man's fishing trip. So what is yours? What's your passion that makes you feel free? Leave it for me in the comments section below. And have a safe and happy Fourth of July!!! !